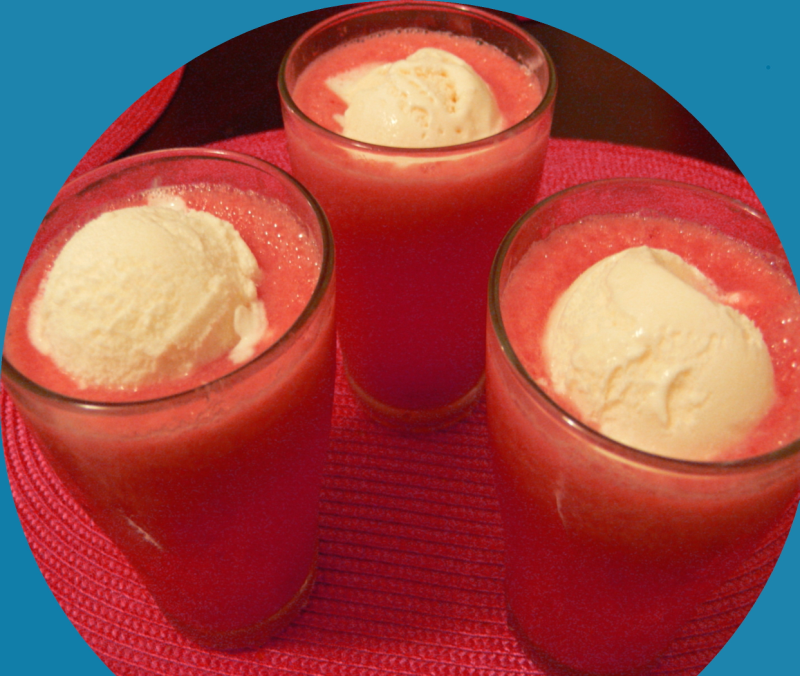 Mouthwatering smoothie with Vanilla Icecream and almonds added.Try this at home and enjoy. Grind strawberries, blueberries, almonds,low fat milk,50 gm vanilla ice cream,water,1 tbsp honey,sugar and biscuits well using a blender. Serve this chilled in 4 tall glasses with 1 Vanilla Ice cream scoop on each of them and sprinkle the remaining honey on top with wafers. Hi christy this smoothi is so yummy thnx for shering this yummmmy sweet my sön wil love it. Mrs.Syed!.U can omit biscuits if u don't like it being added.Though the recipe is given by me,only u will be tasting ur preparation-which must suit ur taste.so u can add ur fav. and omit few ingredients mentioned in the recipe. Hi rabz and Hanabee!.I'm glad to see ur feedback.Thanks a lot. Yummy this is excellent work, thank you. good WORK MY KIDS WILL LOVE THIS ONE. Sorry,forget to add vanilla essence in Step.1.